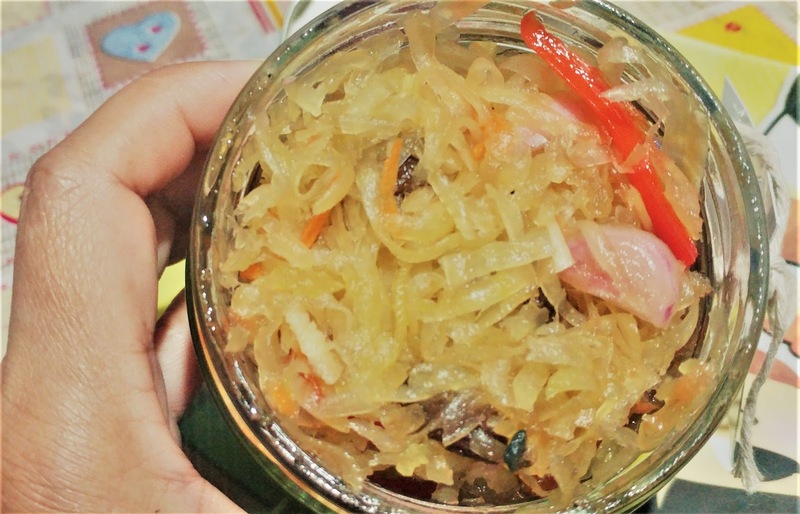 Achara is one of the most famous side dishes in the Philippines. It is a pickle made from grated unripe papaya seasoned with bell peppers, carrots, ginger, onions, garlic, and raisins. Some Achara makers made variations using the ubod, labong and ampalaya as the main ingredient instead of papaya. But whatever the ingredient Achara is made of, it surely enhances the taste buds of every foodie. 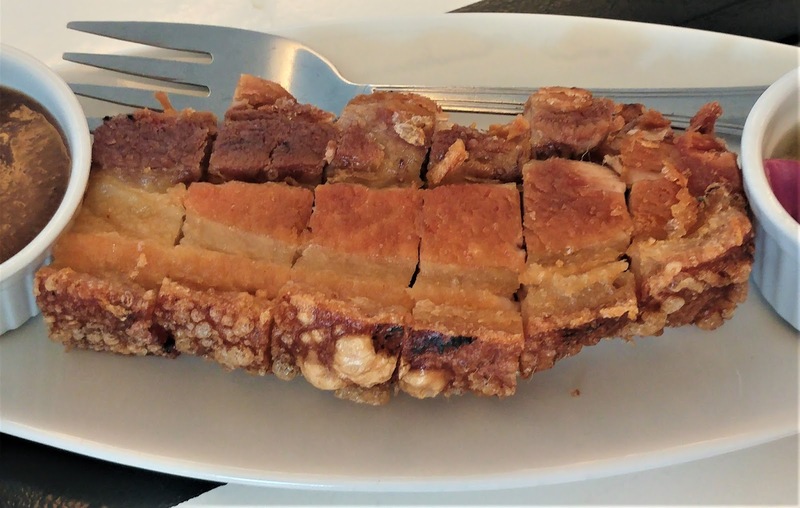 This dish from an Indian cuisine is widely popular in the Philippines during fiestas and other regular celebrations such as Christmas and the New Year. I personally love Achara because my mother used to always prepare it for us, from breakfast to lunch and dinner. It is not only used as "appetizer" but also to remove any aftertaste of the food we eat, to clear the taste buds. 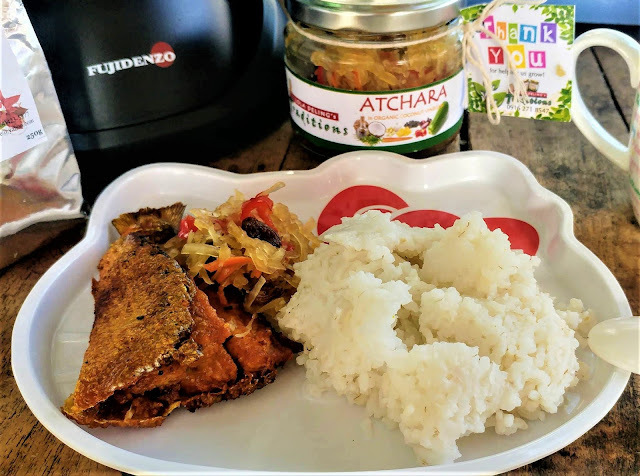 Growing up, I have always wanted to do what my mother did with her homemade Achara but because of the very busy schedule, I always end up buying from a restaurant or from the supermarket. Those being sold in the market somehow, ease my craving for my late Inay's Achara, but they don't really satisfy my very delicate palate. 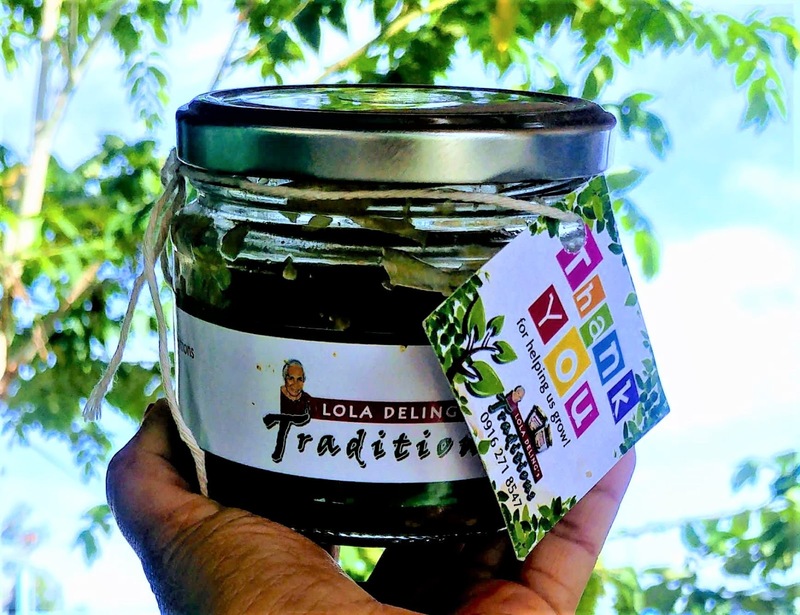 Not until I discovered, Lola Deling's Traditions Atchara. My first reason for loving this Atchara is because it really tastes like the homemade dish of my late Inay. It has the right blend of sweet-sour taste with a twist of pineapple. Every ingredient tastes fresh and natural and this is the only Achara I have tried that uses organic coconut vinegar. The coconut vinegar reminds me of my early days in our province when we use to make our own coconut vinegar from fresh coconut juice which we use for adobo, paksiw and any dish that require the use of vinegar. 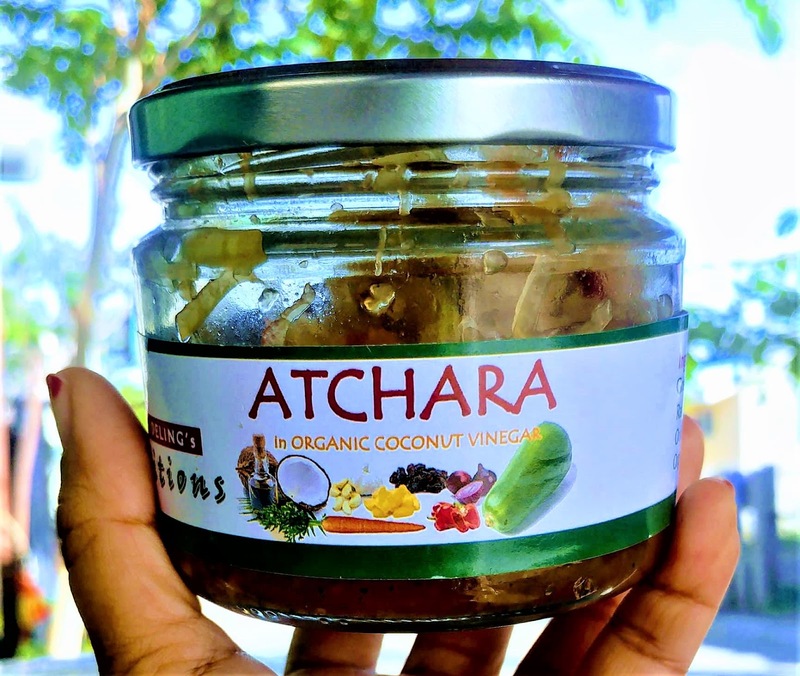 The advantage of using coconut vinegar is that it is less acidic and it contains more minerals and amino acids that the regular ones on the market today. This vinegar which is similar to apple cider and balsamic, also has a low glycemic index which makes it appropriate for diabetic patients. 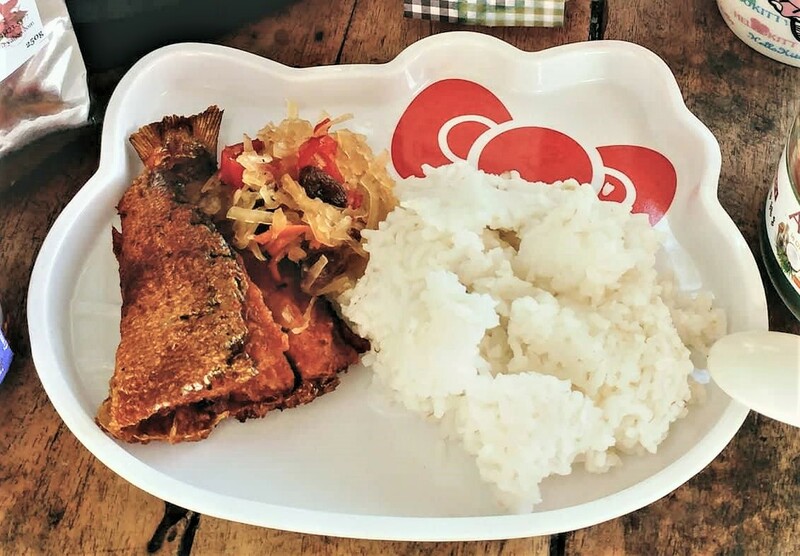 I love to partner Lola Deling's Atchara to anything fried - tinapang bangus, daing na bangus, lechon kawali, fried pork chop, fried chicken and more. Also, I use it as "panghimagas" or dessert especially when I ate too much meat and also to remove the aftertaste of beef and seafoods. It adds a distinct taste to every dishes at home even to veggies especially those cooked with coconut milk or gata. INteresting information. I Liked Achara.